As a partner at Finley & Lauber LLC, Ms. Lauber practices family law in Clay, Jackson, Cass and Platte counties. Upon receiving her law degree from the University of Missouri-Kansas City, Ms. Lauber clerked for Judge Sandra Midkiff in Jackson County, Missouri. She then served her community as a prosecutor for the Clay County Prosecutor’s office before entering into private practice. She was fortunate enough to work for a successful family law firm prior to becoming a partner at Finley & Lauber LLC. 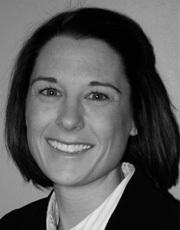 Ms. Lauber received her mediation training in 2013 and her collaborative law training in 2011. She has assisted many families in dispute resolution services and is frequently appointed as a Guardian ad Litem in high conflict child custody cases where abuse and/or neglect of a child has occurred. Ms. Lauber grew up in Platte County and attended college at William Jewell College. She currently resides in Clay County where she is involved with the community and serves on the Alumni Board of Governors at William Jewell College. University of Missouri at Kansas City, J.D.